A pair of rescued elephant seals shimmied their way to freedom this week, after being released from the Marine Mammal Care Center in San Pedro, California. Less than a year old, the two seemed ready to get right back into the water, after being rescued while injured by the center. 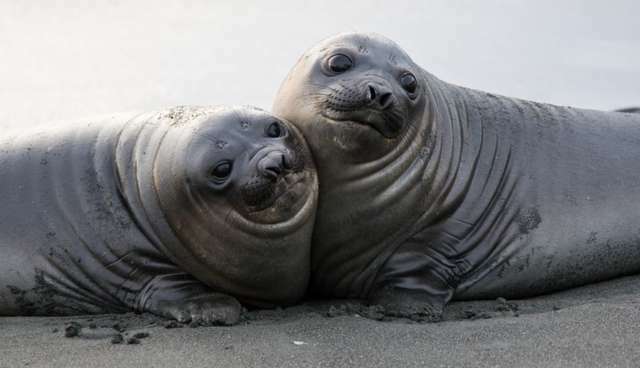 While elephant seals can be fearsome predators as adults, as pups they are undeniably cute. This video of an elephant seal approaching a group of tourists in Antarctica is indelible proof.